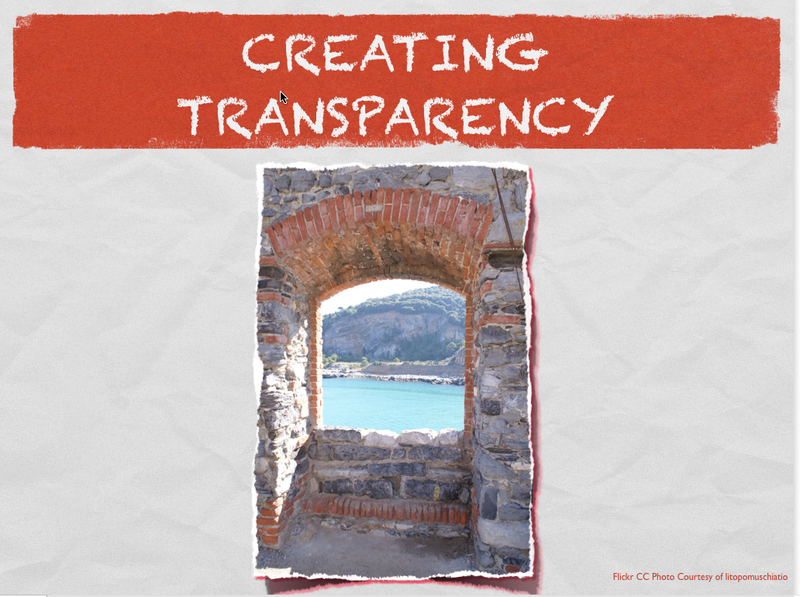 Larry's Opinion Drive-thru: A School Strives for Transparency with a "See Through Cycle"
A School Strives for Transparency with a "See Through Cycle"
This piece was originally published in September, 2010. I had only recently begun regular professional development sessions with our staff and was mulling over a variety of themes. One such theme was "transparency". Like many schools, I suppose, the teaching at ours is pretty insular. I was intent on moving us to greater collaboration, but knew I was running into a culture that would not do this naturally. The idea for a "See-through Cycle" popped into my head and produced a very popular experiment. While I can't say that our culture has shifted dramatically, I really do think that we all are becoming more receptive to collaboration. At MHS, we don't have school weeks, we have "cycles" -- six days per cycle. I meet with Professional Cluster Groups (PCGs) once per cycle. As I mentioned in Collaborating in the Cloud, every staff member is scheduled into one of these groups. Consequently, when I launch an endeavor as I did this past cycle, I can truly say that it has the potential to go school-wide. This cycle's theme was "Creating Transparency." We discussed the benefits of cracking open our lesson plans and work spaces for others to see. The object? Sharing, learning, collaborating. * Our fourth school cycle (Sept. 27 - October 4) would be designated the See-through Cycle. * Anyone interested in maintaining an open door policy for that period signs up on our staff wiki. * In the spirit of the cycle, no conditional sign ups-- Just hang a "Do Not Disturb" sign for moments that do not lend themselves to guests. * Those who did not sign-up could still visit others. * Visits might be of any duration. They would not be prearranged. P.S. You will note that much of the presentation was devoted to Evernote as well as Google Docs' interface with Moodle.